2009 Rolex Submariner model 16610 with box and papers. 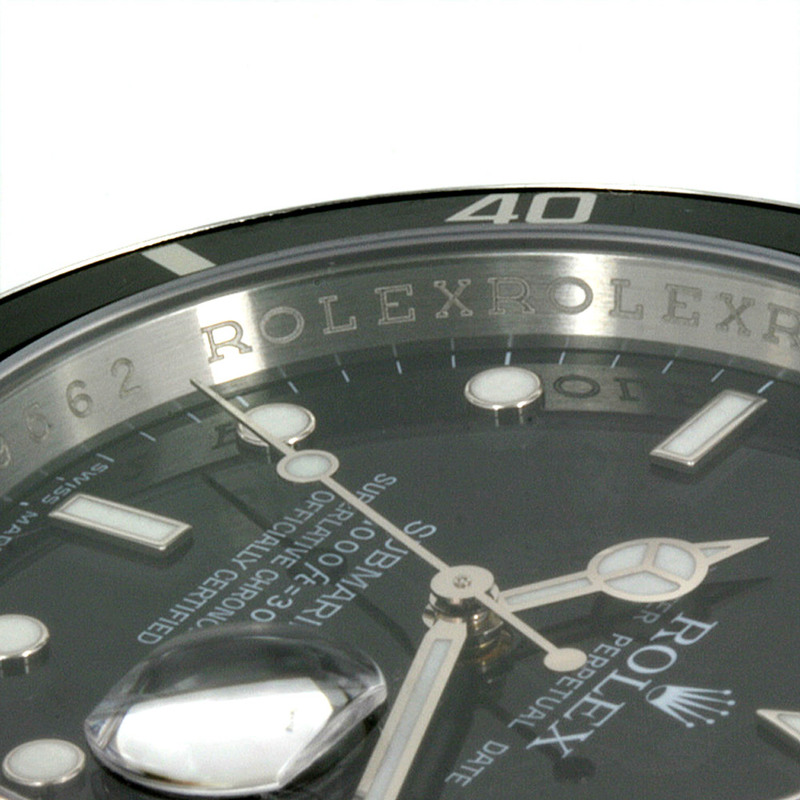 Product code: W468 Categories: Sold Items, Sold Rolex Watches. The most iconic model from Rolex would have to be the Rolex Submariner, and here is a Rolex Submariner 16610 in pristine condition complete with its full box and papers. This Rolex Submariner 16610 was produced in the final year before the Rolex Submariner 116610 was introduced in 2010 with the ceramic bezel being the most notable difference, making the 2009 Rolex Submariner often referred to as the pre-ceramic Submariner and being the last year produced, adds to its desirability. Still produced in the 40mm stainless steel case plus the Rolex screw down Triplock crown and water resistant to 1,000 feet/300 meters, the Rolex Submariner truly is a go anywhere watch that looks as strong, robust and handsome above water as it does under. Just back from a full service, this Rolex runs flawlessly and comes with our twelve month warranty and as mentioned also comes complete with its box and papers . Perfect for fastidious and discerning buyer, this Rolex Submariner is just perfect in all respects.